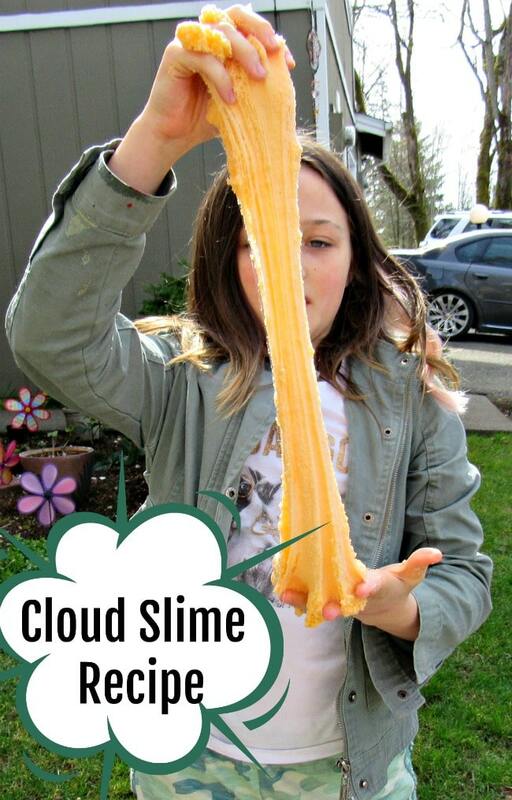 Cloud Slime Recipe (Made with Instant Snow) – A Favorite For Kids! Like so many other kids, my girls are slime fanatics. They love all kinds of slime, and have become pretty good at making it. 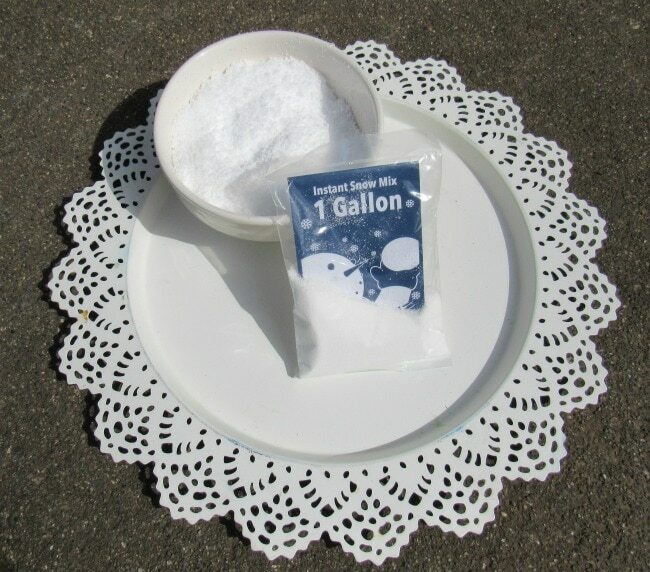 They have been asking me to buy “Instant Snow” for quite awhile to make what they call Cloud Slime. Since it is no longer the Christmas season, instant snow is not something you will find in most stores this time of the year. It is easily purchased on Amazon though, so we grabbed some packages, and the kids had so much fun with this recipe that I thought some of your kids may also like it (if they are not already making it). It is a simple recipe. You can basically use any slime recipe your kids love to make, but by adding the instant snow you get a new texture to your slime. 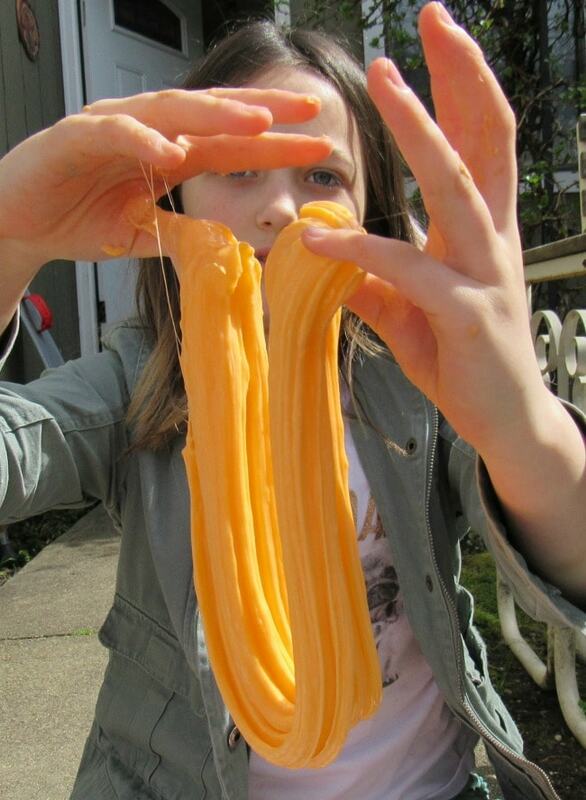 This texture is thicker, and less sticky then some of the other slime recipes. To me this slime was almost the consistency of something like a Kinetic Sand. If your kids love the texture and like to play with Kinetic Sand, then my guess is that they will really enjoy this slime recipe. You can see in this picture, where one of my kids is stretching the slime, it has a “less stretchy” consistency, and more a grainy texture. 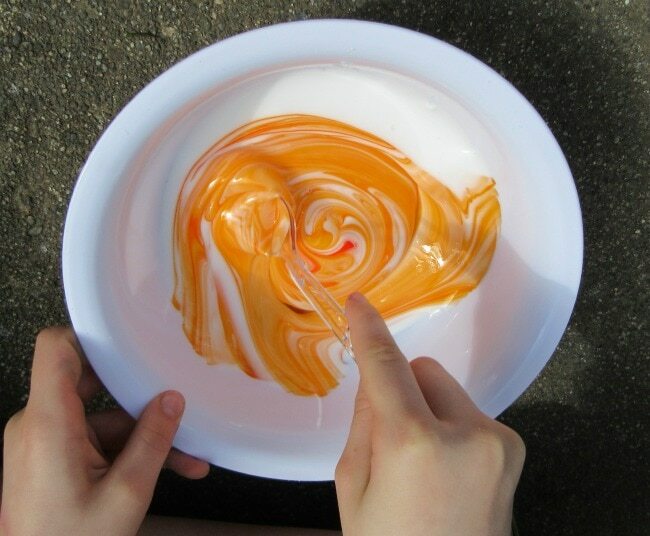 My girls love poking their fingers in this slime! 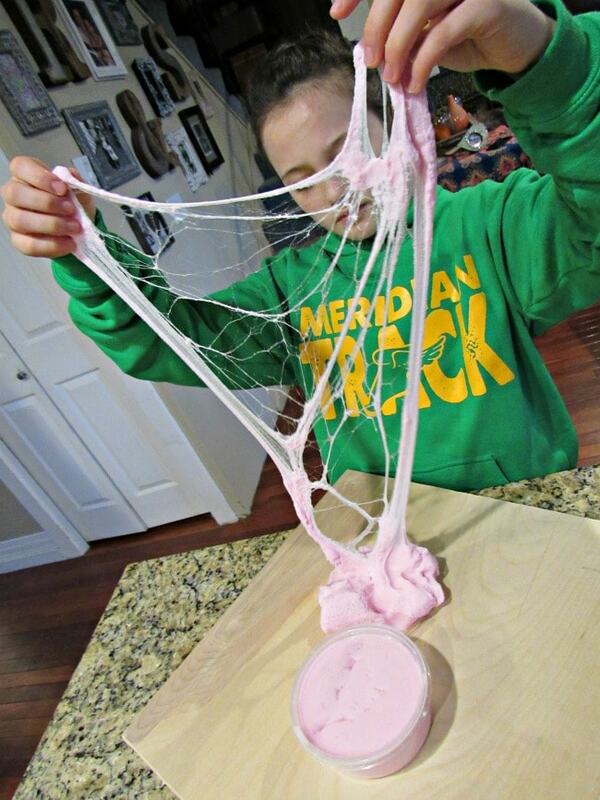 You can start with the regular slime recipe in our free slime recipe printable here. 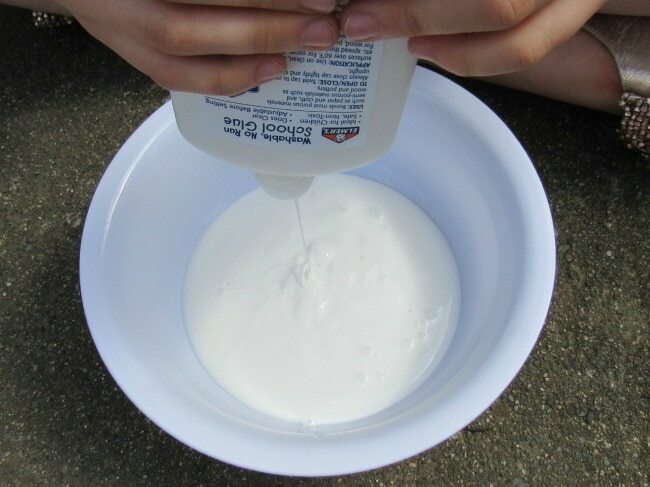 My kids tell me that these days most kids are not measuring their slime ingredients, but more often starting by pouring glue into a container, and then adding their activator of choice until the slime reaches the consistency they like. If you are new to slime making though, it is always helpful to start with a recipe, and then you can start to “eyeball” your ingredient measurements as you get more familiar with making it. 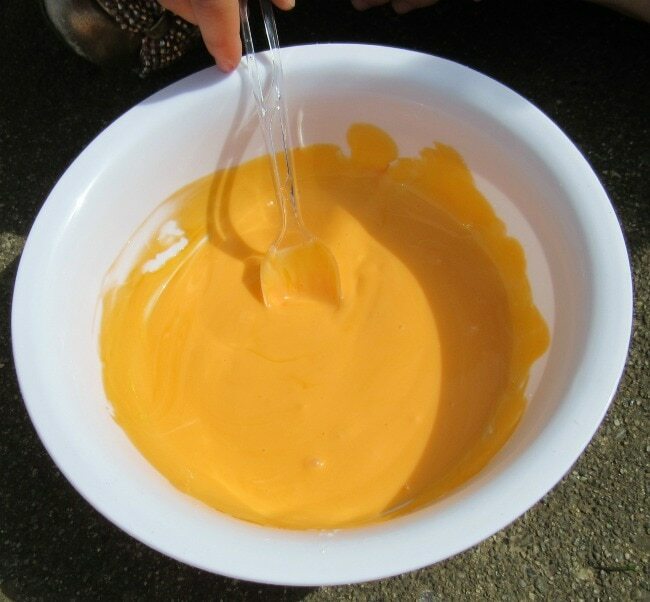 We started by making the regular slime recipe we share here. The next step in making cloud slime, is to prepare your instant snow. You do that by adding water to the instant snow to bring it to “snow life”. The instant snow we ordered, came in packets that looked like the one above..
We then poured that out into a bowl, and added water. The end result is that it looks like the snow in the bowl above. 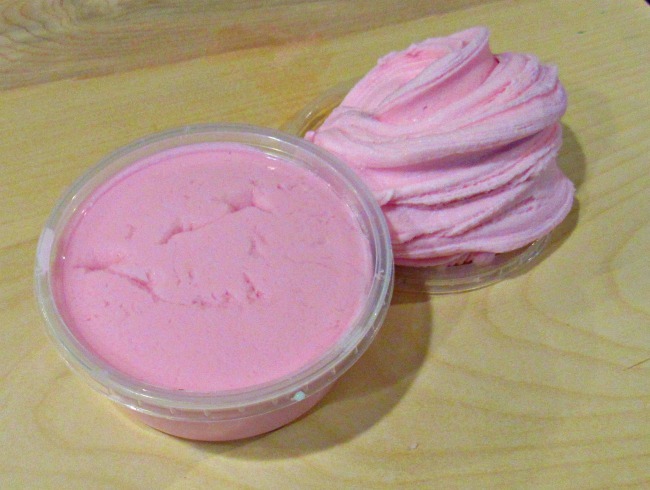 Once you have your instant snow ready to go, start making your favorite slime recipe. My girls just made regular slime. They started with glue. 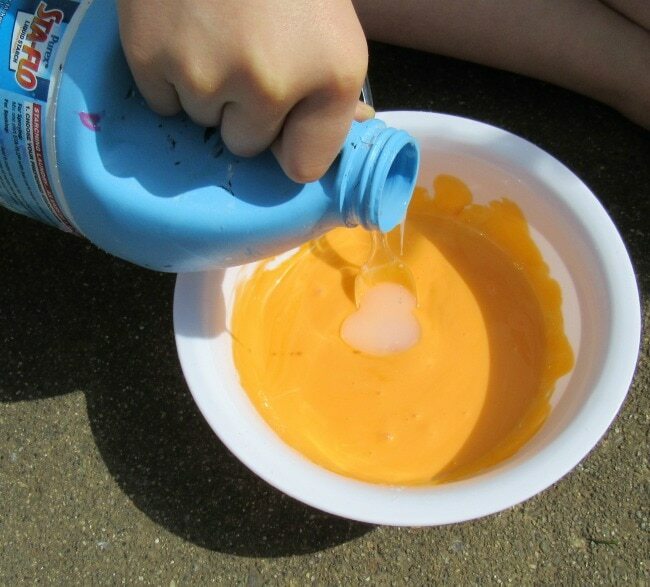 Mixed the food coloring in the glue until it was all the same color. They used Sta Flo as the activator for this recipe. 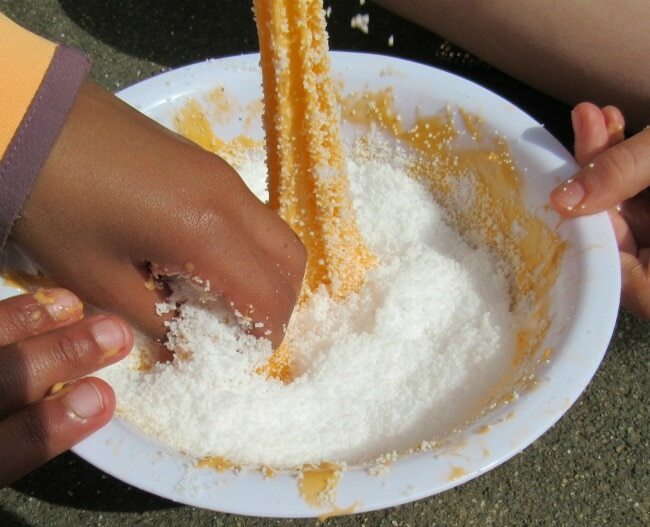 Once you get the slime to the consistency you like it at, it is ready to add your instant snow. The girls added one full packet of the instant snow (that they had prepared according to the package instructions), to their slime. They mixed and mixed, until all of the instant snow was incorporated into the slime. The end result is what the kids call “cloud slime”. 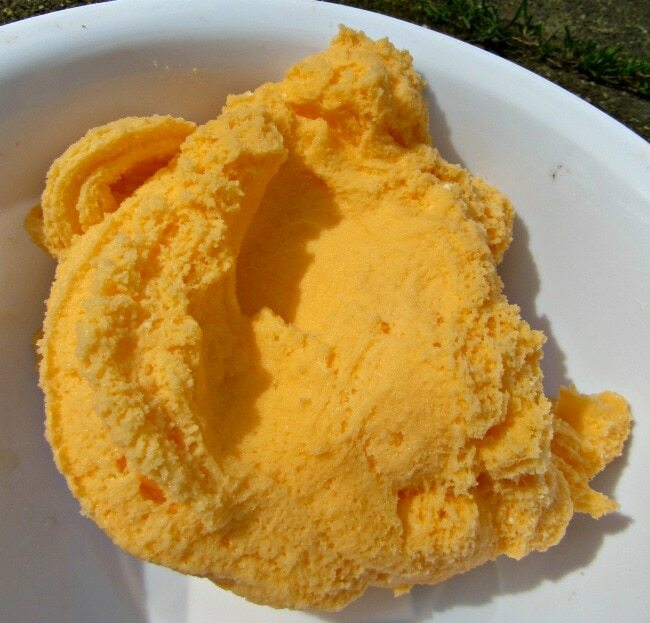 It has a texture that is somewhere between Kinetic Sand and Slime. My kids love it, and when we make it in the front yard we seem to end up with half the neighborhood kids making it with us. They love the cloud like texture of the instant snow. 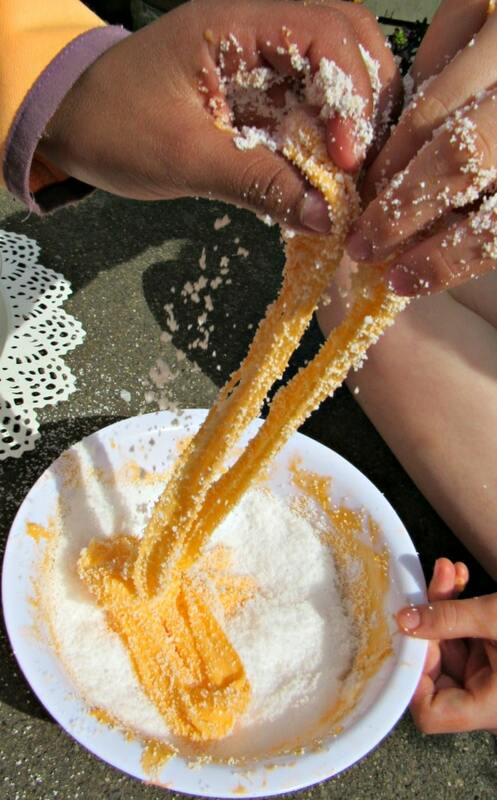 If your kid have been making regular slime for a while, it is a fun way to add something new and exciting to their regular slime recipe. Then enjoy your cloud slime! Its time to play!